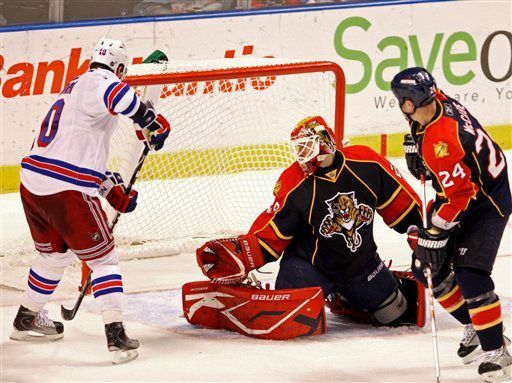 NEW YORK — Johan Hedberg was so busy during the game, he deserved the break he got in the shootout. 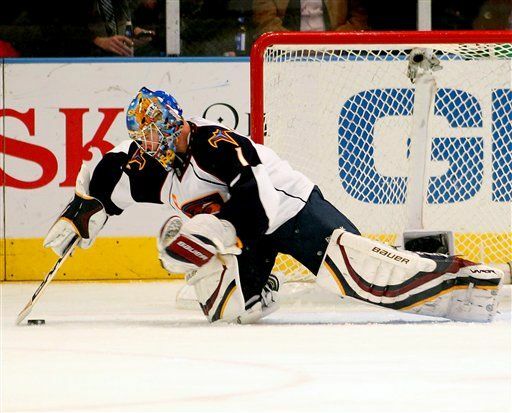 Hedberg made a career-best 46 saves and then was perfect in two shootout rounds to lift the Atlanta Thrashers to a 3-2 victory over the New York Rangers on Monday night. Captain Ilya Kovalchuk and Slava Kozlov scored on the Thrashers’ only shootout shots against Henrik Lundqvist. Hedberg made a pad save on NHL-leading goal scorer Marian Gaborik in the first round and then watched the puck slide off the stick of Ales Kotalik before he could muster an attempt. 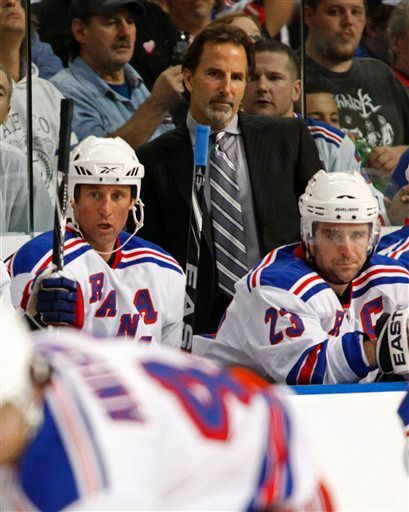 NEW YORK — Tough guy Patrick Kaleta scored twice, including the tiebreaking goal in the second period, and the Buffalo Sabres shook off an uncharacteristic rough beginning by Ryan Miller in a 3-2 victory over the New York Rangers on Saturday night. Kaleta, known more for his fists than offensive touch, scored from in-close in the first and then converted a short-handed breakaway in the second to give the Sabres a 3-2 lead. He entered with 10 goals in 124 NHL games, but pushed his season total to a career-best five with his first two-goal game.